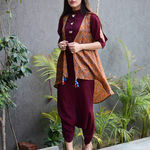 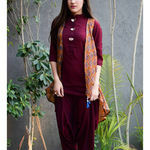  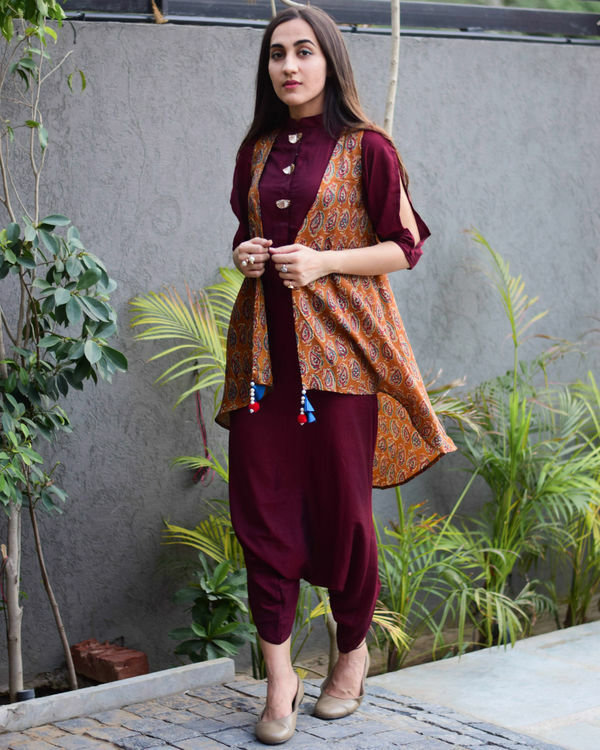 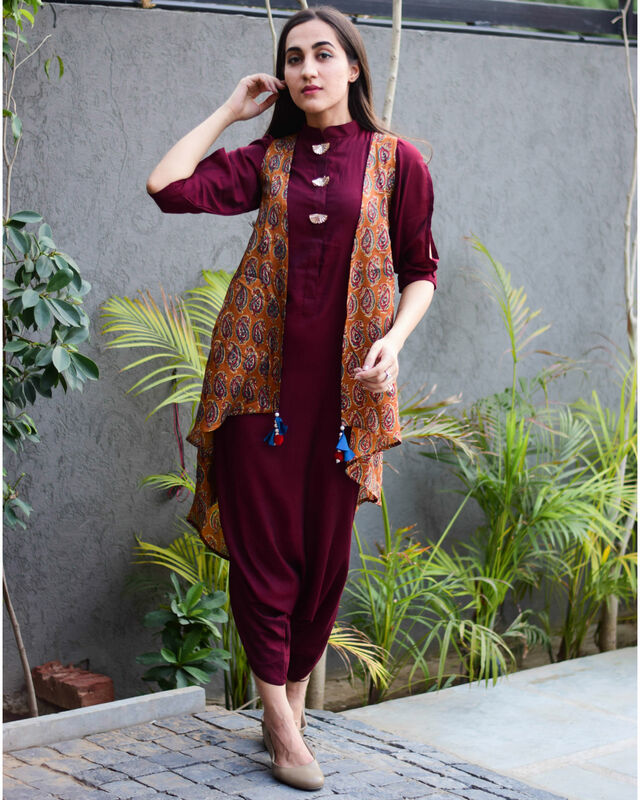 This is a two piece set of a comfy yet stylish dhoti patterned jumpsuit that compliments any body type. 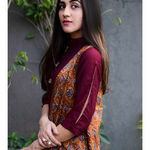 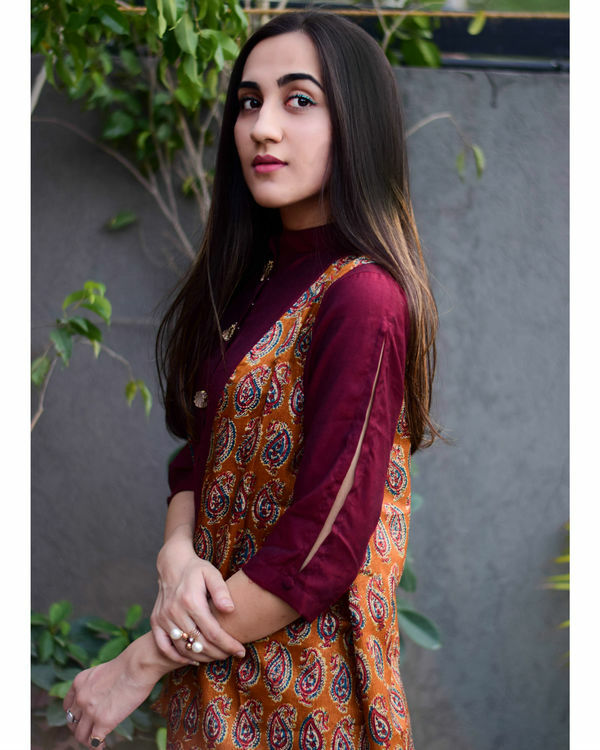 It is paired with a mustard tone, hand printed front open jacket. 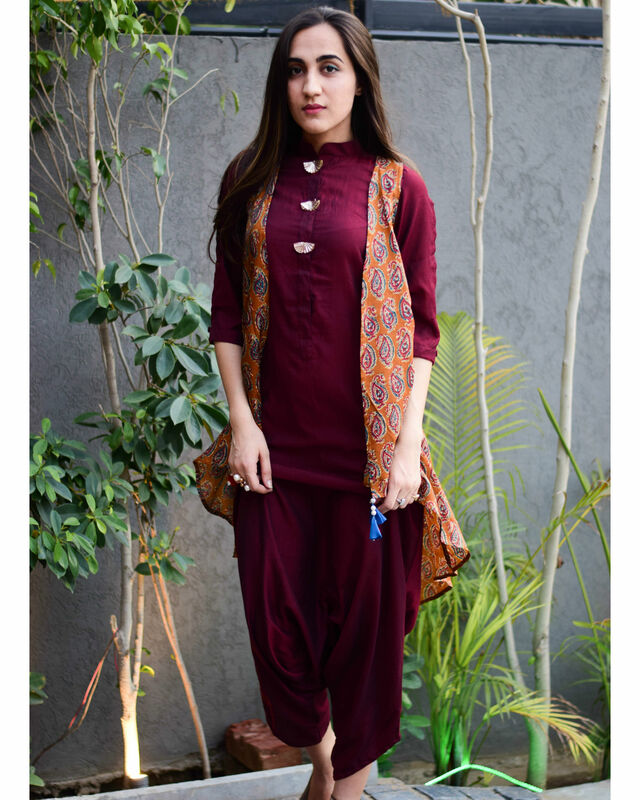 Together they combine to give an indo western ensemble suited for your semi formal gatherings.